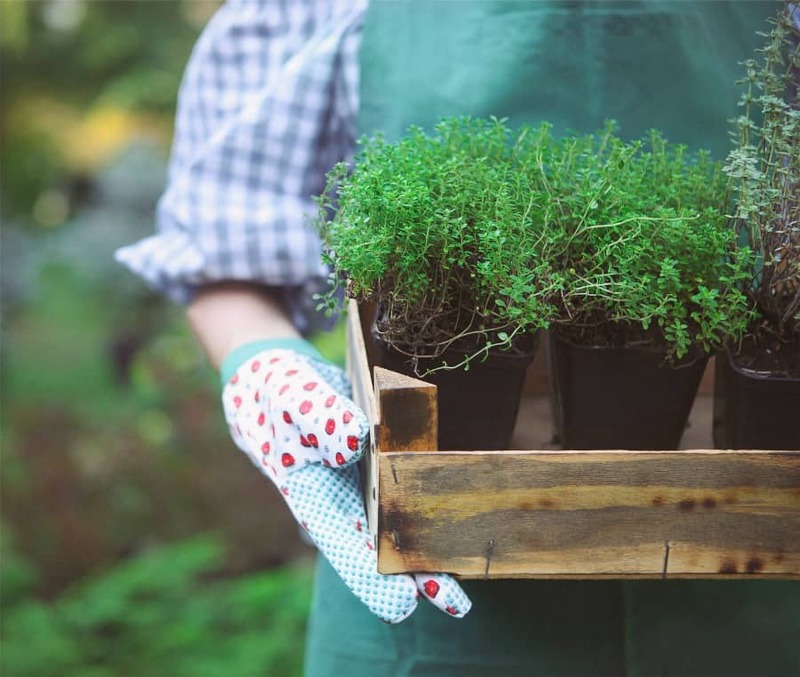 These Frugal Gardening Tips will help you enjoy the bounty of a highly producing garden all season long without spending more than necessary. I am looking forward to that time of year when everything that is growing and producing in the garden is in full swing. 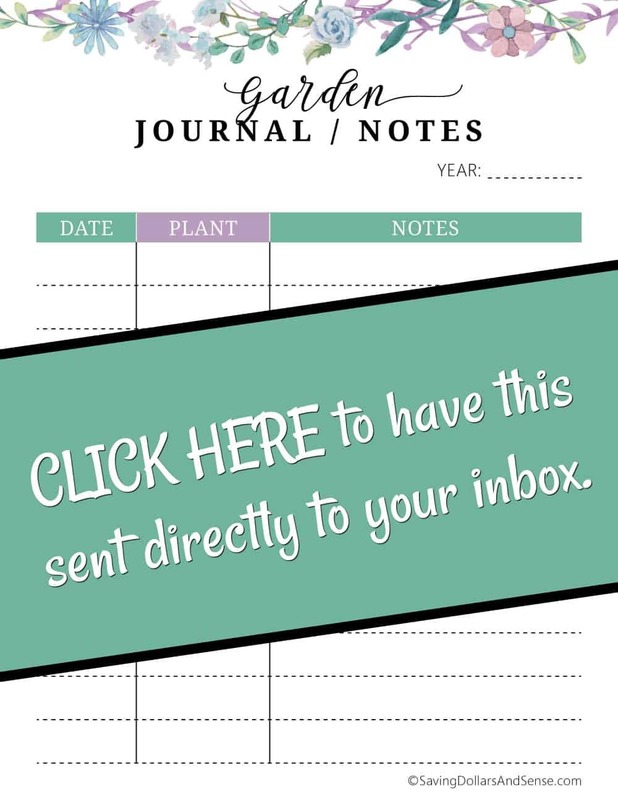 If you have a garden, hopefully you are already making your garden plans. In no time at all you will be sowing some of the bounty and enjoy some fresh meals! Gardens are a great way to save money since seeds are inexpensive and most plants are fairly easy to grow as long as you give them a good environment to grow in. Once they take off then you will be saving money by producing your own food and not having to rely upon the grocery store for all your fresh goods. It’s always nice to save on your grocery bills! But when it comes to certain aspects of gardening, the keeping and tending of it, things can start to get expensive. Weed killers, fertilizers, and more can run up a hefty tag at the hardware store but it’s hard not to buy them and watch the weed, bugs, and poor soil harm your precious plants. Below you will find some great ways to save on these expensive areas of gardening. If you continually add compost to your garden, it might be worth it to invest in a small composter , or if you have room, simply start your own compost pile in the corner of your garden. This will save you from having to buy those expensive bags of compost at the store and compost is so easy to put together. Just make sure to Google for things that don’t belong in the compost pile to make sure you are composting the correct items that will make your garden grow. Pick the best times to shop for gardening tools and equipment. 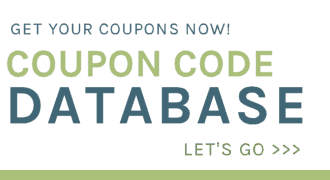 You will find the best prices on these items in the spring when garden centers and hardware stores put them on sale. Later in the summer it will be harder to come across a deal since they won’t be having sales on those types of items and many things that you need might be out of stock since hardware stores generally only get those items in during the spring and early summer months. Also on that note, don’t feel like you need every garden tool that is out there. A good rake, a weed puller, and a shovel should get you by just fine. Make your own soaker hoses. Soaker hoses can get very expensive, especially if you plan on using them throughout your garden. Instead, use an old hose and poke holes in the sides that you need water to come out. It will work the same and you reused something that probably would have ended up in the trash. Take part in a plant swap. In the spring after you’ve planted your seeds and have healthy little plants growing, look around your area and see if anyone is hosting a plant swap. Take in the plants that you grow too many of and swap for plants that you didn’t start growing. This will give you a great variety in your garden and it won’t cost you a dime. 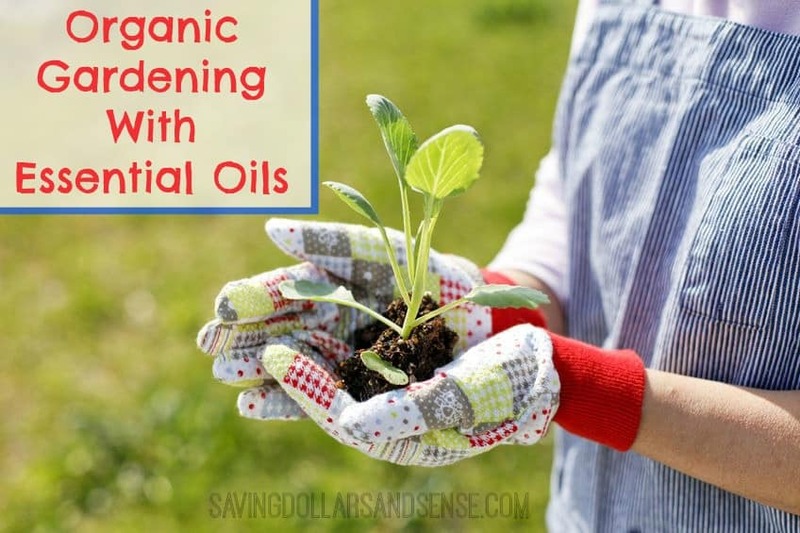 Check out this post I wrote all about Organic Gardening with Essential Oils for more great tips! As you can see, there are so many different ways to save money on gardening. Share your frugal garden tips in the comments! Thanks for these awesome tips. When we move, I would like to have a garden for our homeschooling family and just really need guidance as I am no green thumb. Thanks for sharing all of these great things. I love your site! Wow! thanks for the wonderful tips. This information will not only help in improving my garden, but also will also help me in reducing costs on buying fertilizers. I will also share this information with my village mates which will be so beneficial to them. Furthermore the product will have less chemicals thus suitable for human consumption.